SL Video: "What Are You Doing New Year's Eve"
SL Video: "A Thousand Years"
Cartoon of the Day: "Define Naughty"
SL Video: "Mont Saint Michel In Second Life"
What Happened to Aero Pines? Who Should Be Second Life's "Man of the Year?" Announcement: "Christmas at the Cave"
The Winter Swaginator Hunt, Gift Three Location. Much like the Newser's Persons of the Year, the Second Life Birthday Group Volunteers, the runner-up is known for his accomplishments in previous years as well as this one. Draxtor Despress (Bernhard Drax in real life) Originally known for his "Flufee" videos made with Pooky Amsterdam, in 2013 he started a new series of informative videos about Second Life, "The Drax Files." This was followed in 2013 with "The Drax Files Radio Hour." Last year, he did some Sansar preview videos to help promote Linden Lab's next generation world. This year, Draxtor produced a documentary film, "Our Digital Selves: My Avatar Is Me." The movie, "tells the story of 13 global citizens and their avatars as they transcend their various disabilities through artistic expression and making a home for themselves in the VR Metaverse." 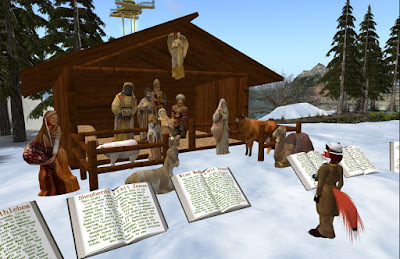 The video has been viewed almost 50,000 times, and no doubt has changed some minds on what Second Life, and other virtual worlds, are all about. So for his work past and present, Draxtor Despress make's the Newser's Runner-Up for Man of the Year of 2018. 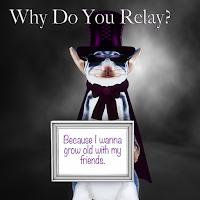 Other noteable people included Luskwood for still being a noted community after fifteen years, the former residents of the closed InWorldz Grid, the Relay for Life volunteers, and of course the Lindens for keeping Second Life up and running for fifteen years. 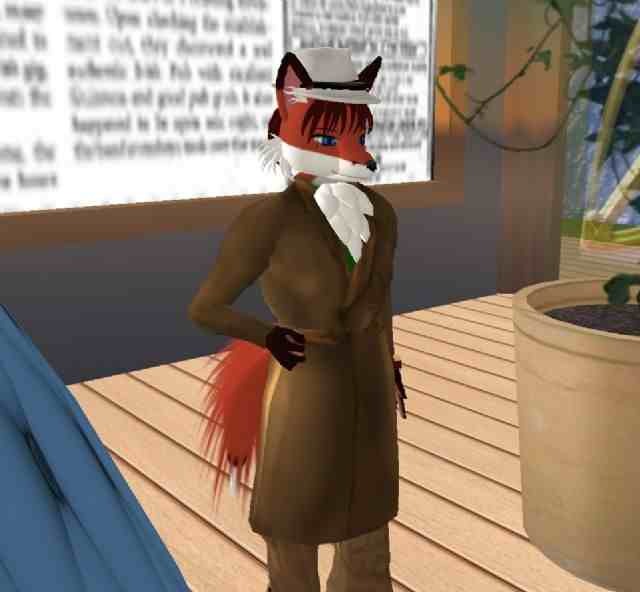 A little more than a week ago, the editor of the Second Life Newser, Bixyl Shuftan, had his twelfth rezzday. Deaflegacy felt the occasion deserved an interview. So the two sat down in what would be her last interview to be published for 2018. 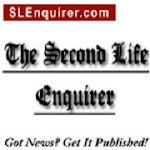 The editor had a few things to say about how the past twelve years had gone, in and out of writing about Second Life. Taken at Grendel's Children. The Grinch was a sour character before his change of heart about Christmas. But maybe he just needed the right incentive. Survivors of Suicide's 10th Anniversary Christmas Fair. As the holiday season comes to a close, there was one Christmas event that escaped the Newser's attention, until now. 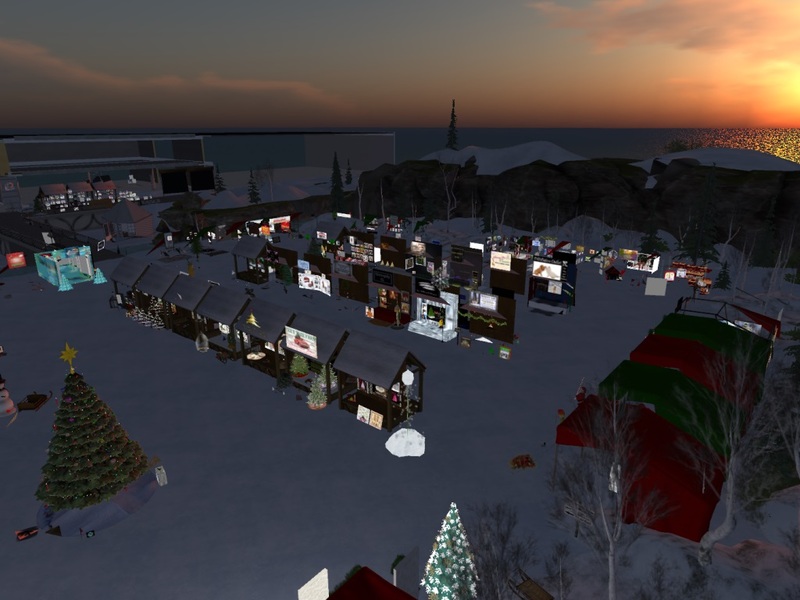 Survivors of Suicide is having it's "Tenth Anniversary Christmas Fair," which ends On January 1. It's Grand Closing Gala is scheduled to happen sometime today, Sunday December 30th. The event takes place slightly more than 4000 meters over the Wayward sim. This Christmas Fair is happening for many reasons. It’s our 10th Anniversary and we want to celebrate that accomplishment with everyone in Second Life. Also, it’s giving us a chance to raise funds to make sure we are on the grid for everyone in need for the foreseeable future. Last, but definitely not least, we are having this event to raise awareness of our group for anyone who may be in need or would like to come on as a mentor. We know that the holidays are a hard time for many, and we want you to know that S.O.S. is here for you. 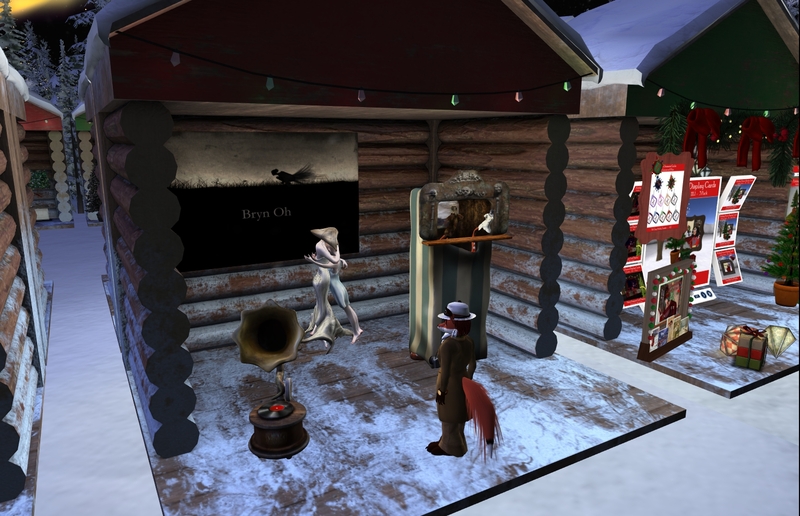 I found a number of shops in the area with a number of items from avatars to furniture to accessories, and more. The stalls have at least one item in which 100% of the sales go to SoS. There were also a few items there donated by Second Life artist Bryn Oh. At a frozen lake was a dance area. There was also a gacha machine where one could get surprise items. All the Lindens used to buy gacha items go to the SoS. There was a photo contest people could vote on. In another corner were games people could play. If you or a friend or family member are feeling the holiday blues, or you are worried for yourself or someone else, we are here for you. Grab any information that would be helpful at our information booth and if you need to talk to someone, check our Holiday Cuddle Corner, where mentors and members will be standing by to help with those Holiday Blues. If no one is available on site, join our group, there is always someone in chat to talk to. Picture from Nydia Tungsten. 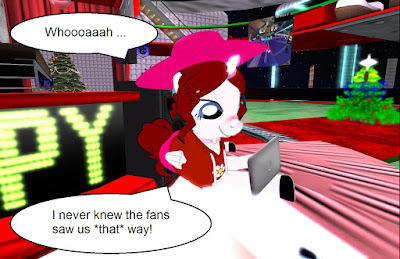 Considering she got her start in Second Life as "DJ Naughty Nydia," one can be pardoned for wondering if she's on Santa's "naughty list." From EnJUniqueKreation1 on Sept. 2012, "To someone I loved for a thousand years and I'll love for a thousand more..."
Second Life had it's share of people making the news this year, as well as people behind places and events making the news, and those making an impact behind the scenes. Finding someone who both stood out and made a difference was less than easy. But we did find someone. 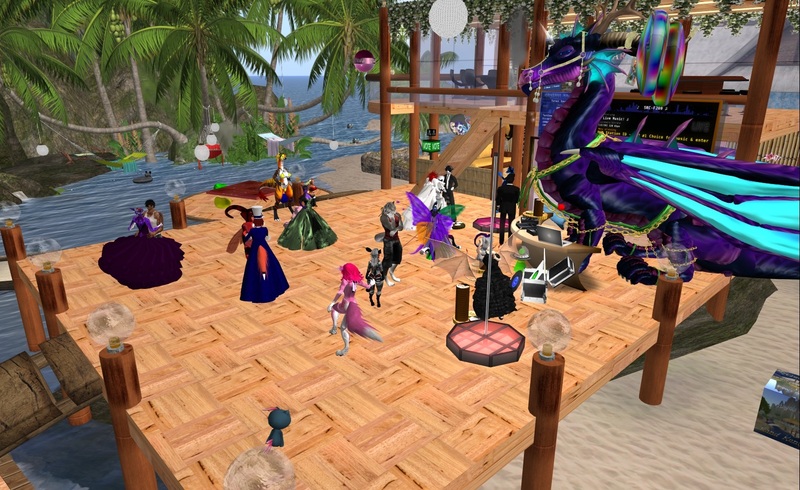 Every year since it's first, there has been an anniversary celebration of some kind within Second Life, the Second Life Birthday. With one exception, the first eight were handled by Linden Lab. But in 2012, the Lab announced it would no longer be organizing one. What happened was that a number of residents took it into their own hands to organize the event, and these volunteers saved "The Birthday." Had the Newser been giving out it's "Man of the Year" award then, it would have gone to them. 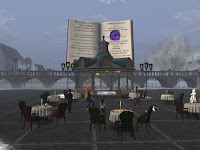 This year came a milestone birthday, Second Life's fifteenth. It would me more than just the usual crowd of Second Life residents, but people coming back after taking a break for a few years as well as a few from tech blogs and magazines whom would be seeing the event as an example of the best of what Second Life has to offer, and giving their critical eye of what they saw. While Linden Lab has been taking a role in anniversary celebrations lately, such as the Musicfest and the "Meet and Greet" with noted Lindens, "The Birthday" is still up to a group of hardworking, and mostly overlooked volunteers. 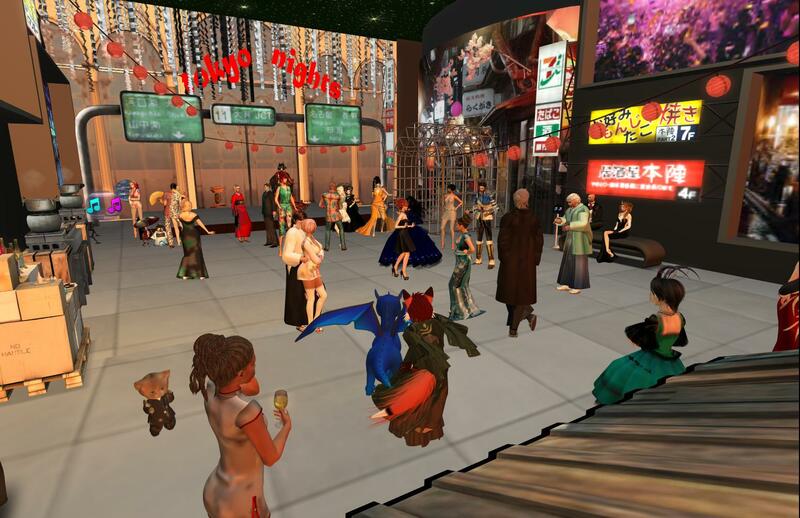 Any Second Life Birthday is a challenge to undertake, the planning, the exhibit inspections, greeting and guiding visitors, watching out for griefers, finding people to fill in for musicians who can't make it, and more. And occasionally mistakes are made. 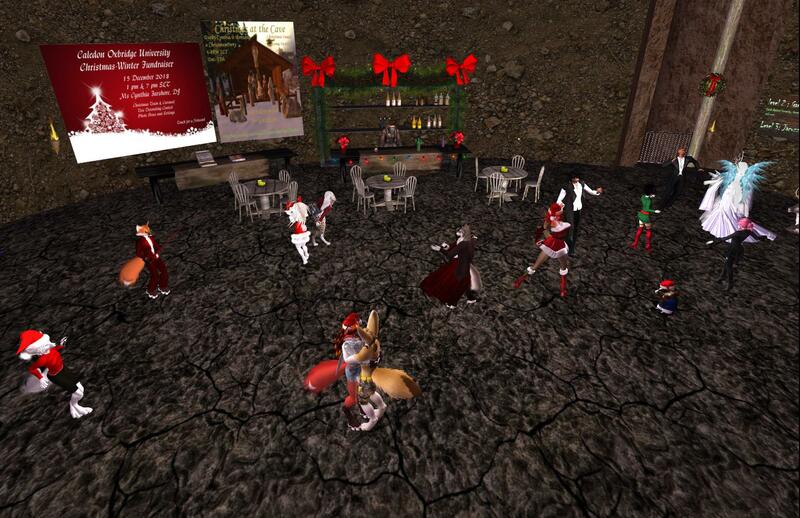 But as always the Second Life Birthday volunteers rose to the challenge, and they tackled it well. Many of the SLB volunteers have been mentioned in the Newser a number of times, such as Marianne McCann, Faust Steamer, Treacle Darlandes, and others. Our own Gemma Cleanslate was an SLB greeter for a few years. But many others have done their (unpaid) jobs practically unnoticed outside the volunteer group. 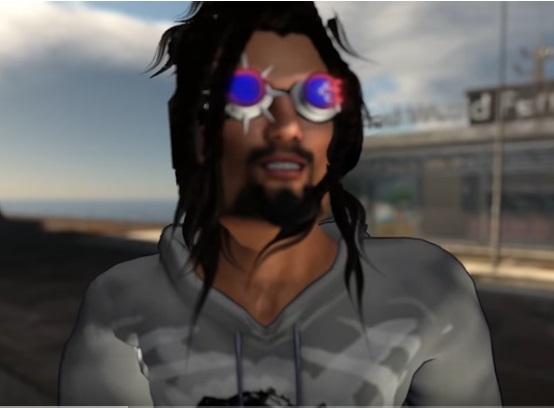 So for their hard work this year, as well as previous years, for this high-profile event, the Second Life Newser names the Second Life Birthday volunteers as it's Persons of the Year. Stand by for our runner-up on Monday. Christmas had many activities of all kinds in many places. On Christmas Day, while some venues were closed, some residents were still entertaining others who happened to be on. At the Grendel's Children mall, there were some tinies who were doing their own special kind of carols. Only twice a year does the Confederation of Democratic Simulators get to chose a new leader (or keep the existing one). When a new leader is chosen, the community celebrates with an Inaugural Ball. 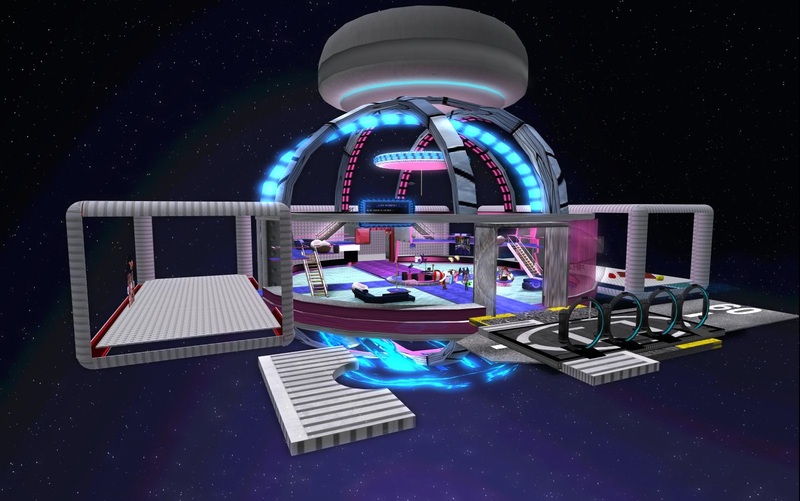 But the ball to help ring in Chancellor Kyoko's term was different in that the new leader designed the setup for the party. Read the story in Events. 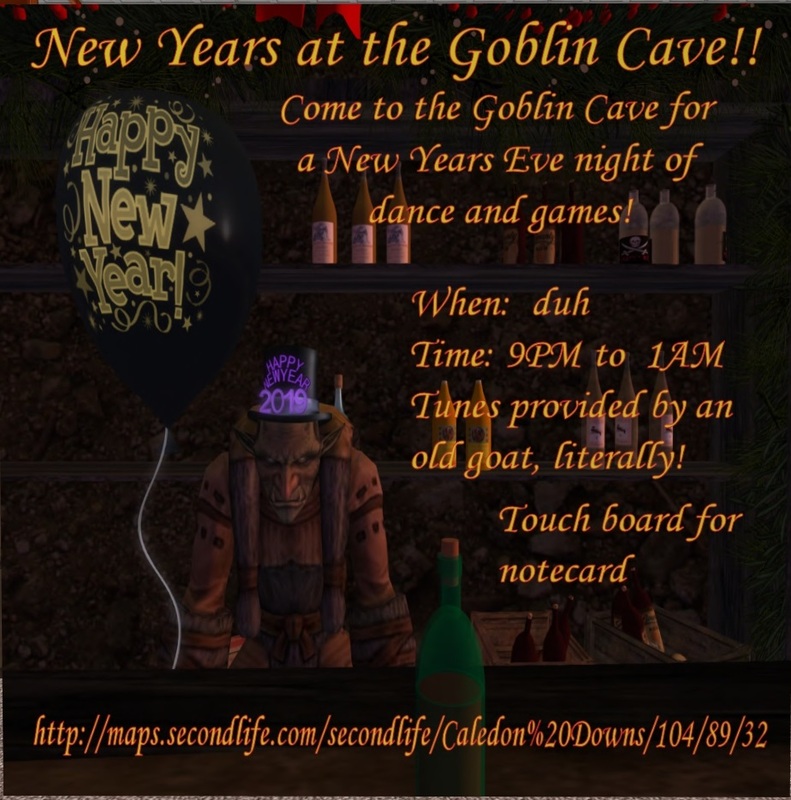 Duchy Cynthia invites all to come and ring in the new year at the Goblin Cave. When? Well Monday New Years Eve silly. Starting at 9PM and lasting at least till 1AM. I, your host for the party shall also play the tunes to dance to. Party favors and games like Yatzee, Greedy, Unno, Billiards and Cards Against Humanity available. 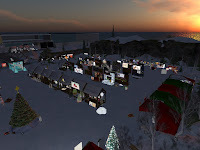 It was about a month ago in which Lia (Female Winslet) invited people to help build her Christmas display in the Koss sim. Today, the area is noticeably different, with many more items, mostly decorations. Lia has gotten additional land around her first plot. And the area is still open to decorations. 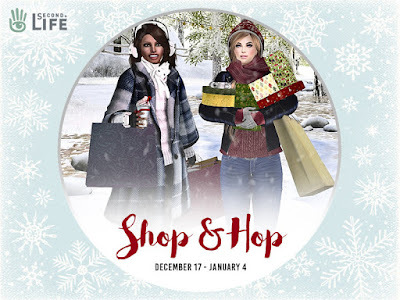 For those interested, head to http://maps.secondlife.com/secondlife/Koss/87/89/119 and join her "Season of Love & Friendship" group just long enough to set up what you want to add. Contact Lia for any questions. Taken at Club Zero Gravity. Now just what would this little pony be seeing on her laptop, presumably connected to the Internet, that would get her blushing? 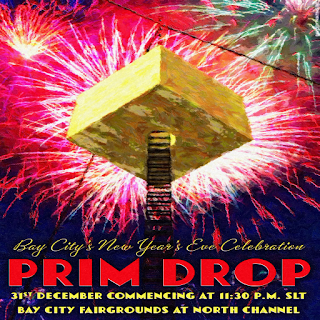 BAY CITY, SL (26th December, 2018) - Citizens of Bay City, Second Life's® city by the bay, will be marking the end of the year in fine fashion, attending the annual "Prim Drop" in the Bay city Fairgrounds in North Channel on the evening of the 31st of December. This will also be the last event within Bay City this year for donating to Child's Play Charity (www.childsplaycharity.org). Child's Play is a 501c3 non profit organization offers online communities such as ours an opportunity to help seriously ill children around the globe during their hospital stays with the purchase of games and gaming equipment. "Count on my ALT coming back to this land!" And it was that time of the Year again. "As you know, once in a year, the Xmas Glider arrives to gift you with sweets and all the good things! But remember, only those who dutifully build their Snowman and deliver it in time will receive the Xmas Glider's blessing!" The old man raised a warning finger. "Those who deny are not safe for the Xmas Glider will come and bite their nose! And this is why you see so many red noses in winter." From Candido Ferraris on November 2014, "A great Christmas sim where you can have lots of fun and find all you need to decorate your land for winter and Christmas. Hourglass (193,156,23)"
Gemma has found many Christmas-themed places this month. For her last one before the big day tomorrow, she writes about Laura Liberty's "Christmas Town." Located in the Townies sim, the location was a little later than usual in being set up. But it has a number of attractions that will satisfy both longtime fans and those seeing it for the first time. This includes making your own Christmas card. 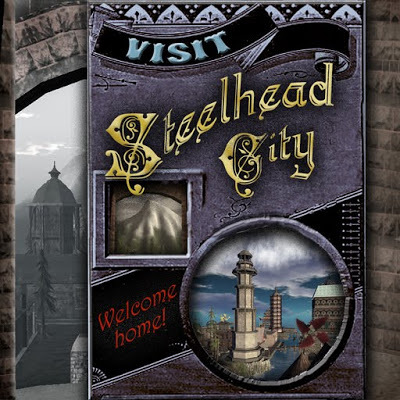 Nydia Tungsten recently celebrated her tenth rezzday in Second Life. Over the past ten years, she has accomplished much from being a DJ, club owner, sim manager, real-life published author, and more. 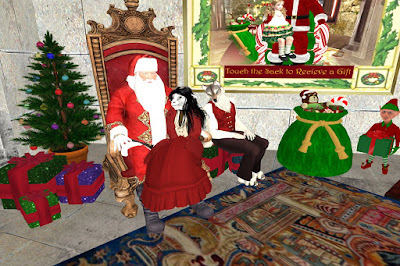 Shortly after the rezzday, Deaflegacy met up with her for an interview, where she had a few questions. Taken by Cynthia Farshore. Looks like she and her friend Shockwave Yareach are both asking Santa for a few things on their wish list. 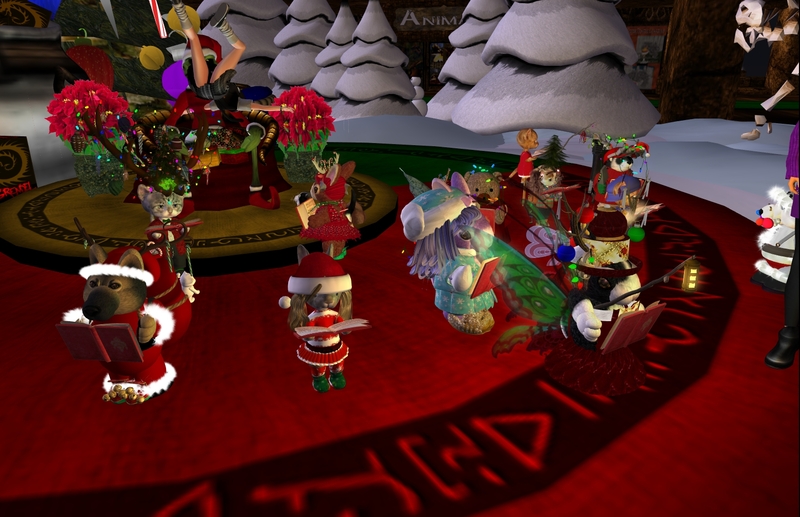 Taken at the "Christmas at the Cave" party on December 13. Looks like Becky Shamen wants to hedge her bets on presents from Santa this Christmas. The Winter Swaginator Hunt by Linden Lab is almost over. 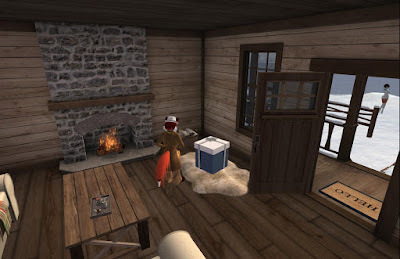 Last Monday, the fifth and final gift in the gift grab was placed out on the Grid, the clue leading to the Zermatt sim. But of course the SURL provided didn't take you right next to the location. But the clue does tell you it's in the center of a frozen lake and involves a log cabin. And within sight of where you land is a frozen lake with a small island in the middle. And on that island is a cabin. Around the cabin, you'll find copies of earlier weeks gifts. Pretty clever of the moles involved. And the package for this week's gift is on the rug. The gift package contains a snowy bench, a chopping log, a snowy fence section with one post, a snowy fence section with two posts, a section of snowy path, and three snowy trees, one that's full of snow. And so that's the last of the gifts from the Winter Swaginator Hunt. Hope you had fun tracking them down, and Merry Christmas. Nydia Tungsten has another video up and running. Loaded on Youtube on December 17, here is "The Fox." This was actually the second version as she was less than satisfied with the first. Filmed partially in the "Dystopian Grindhouse" club. I was working on development of Japan Experiment Module, “Kibo” (“Hope” in English) of International Space Station (ISS) Program at Japan Space Development Agency (current JAXA) 30 years ago. When I visit International Spaceflight Museum (ISM) in SL, I found ISS at that time didn’t have “Kibo”, so I proposed to provide “Kibo” to ISM members, and made “Kibo” with help of my friend, unico Bailey and docked to the ISS in 2014. 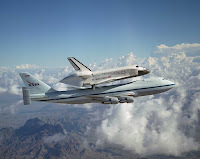 Last year, I found my friend, pyo Igaly made a very nice Space Shuttle ride so I proposed to ISM members again. I and pyo checked final launch, re-entry and landing sequences of space shuttle, and finally pyo installed the new space shuttle ride at ISM on this summer. Pyo also made new version of Newton cannon of Exploratorium. I had several remote class rooms for children at RL science museum in Japan using Newton cannon, Space shuttle ride and ISS exhibits. At first, I’ll guide you to new Newton Cannon at the sky of Abyss Observatory (Farwell). You can learn about relation between initial launching speed and the orbit of spacecraft. Next, we’ll move to ISM, you can experience Space Shuttle launch and landing. The atmospheric re-entry sequences of the winged space shuttle is very tricky and it has been improved much better than I was involved in the space station project. At the ISS exhibit, I’ll talk about design features of US-Russia complex, uniqueness of space environment and living pattern of astronauts there. 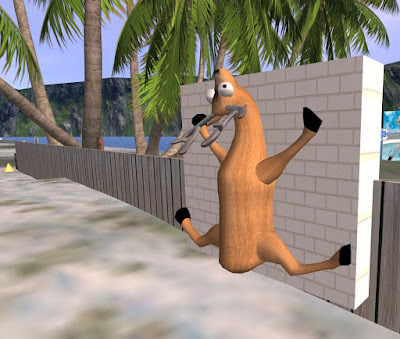 The residents of Second Life have something of a love/hate relationship with the Lindens. We're grateful for them creating and maintaining this virtual world. But some of their decisions over the years often make us wonder. If you've ever wanted to toss a snowball at them, now's your chance. Today is the Linden Snowball fight. Come one - come all to the Snowball Arena for a friendly ice battle of epic proportions! This Snowball Showdown means you're free to pelt your fellow Second Life Residents and Lindens with a bevy of sparkling snowballs! But the Lindens and your fellow Residents get to return fire with their own avalanche of snow-arsenal. 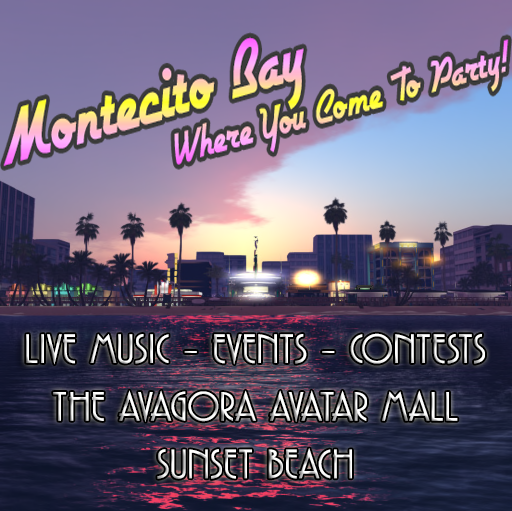 The event lasts from 11AM to 1PM SL time. 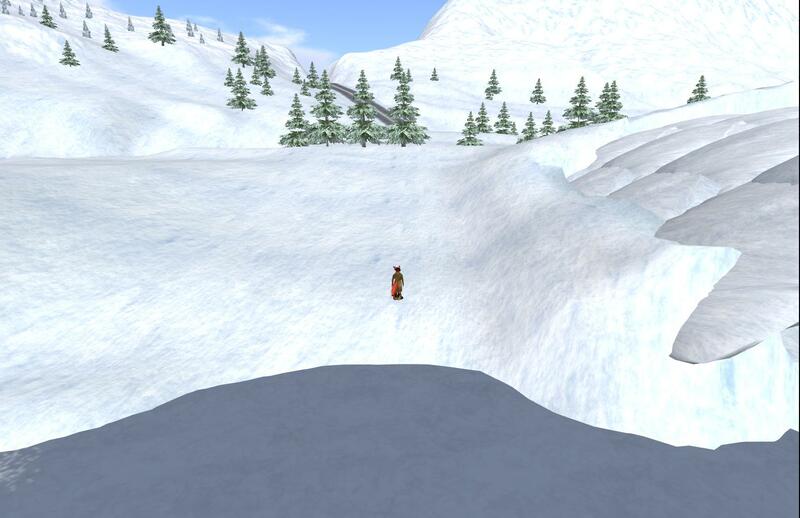 So head to Portal Park, then head to the Winter Wonderland area, and head to the Snowball Fight Arena. If you miss this event, you may have to wait months until another chance comes. Farming is one of the oldest occupations, and the one that allowed the development of civilization. Once, most people were farmers. Today in developed countries, only a handful of the people are needed to grow everyone's food. 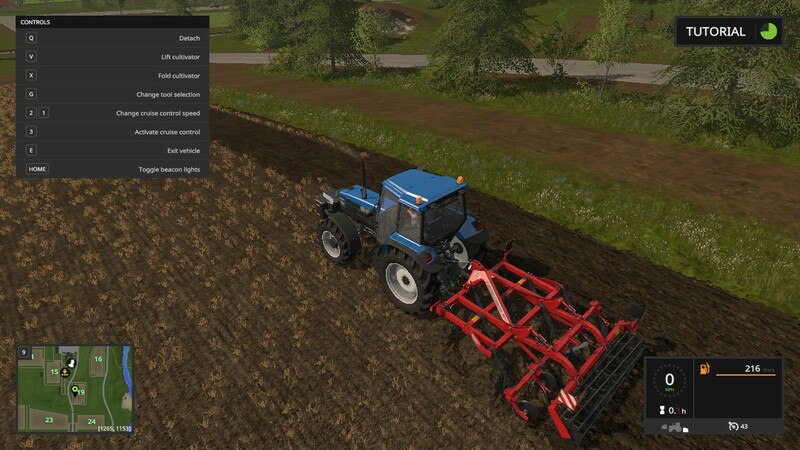 While farming's a small part of many games, there have been a few in which it's the main point. "Farm Simulator 17" by Astragon Entertainment and Excalibur Publishing is the second most recent of a series of games of the name that over time have sold more than fifteen million combined. Among those playing it is Rita Mariner. She recently sent the Newser a story about the game and how to play it. 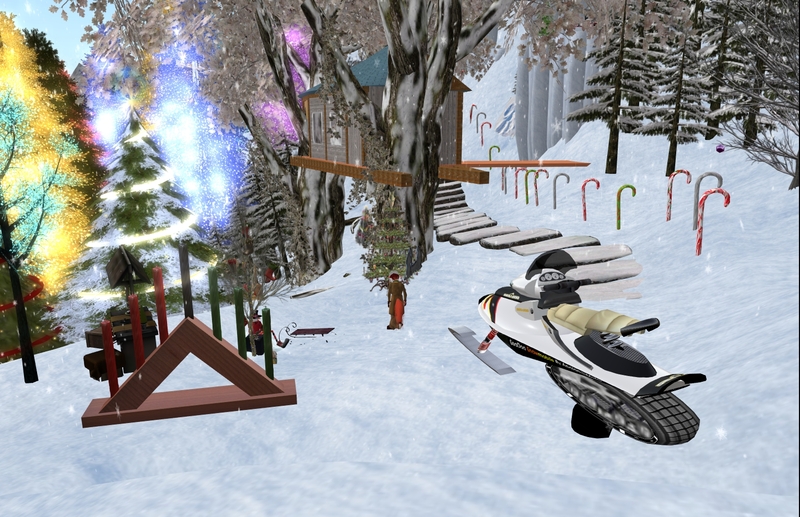 Christmas has come to Caledon, Second Life's largest steampunk community. With the holiday season comes parties. Yours truly recently attended a couple. 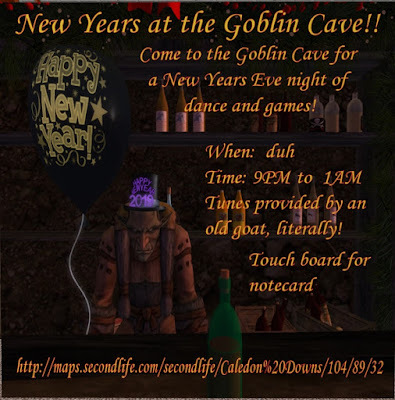 "Christmas at the Cave" took place at the Goblin Cave at Caledon Downs. 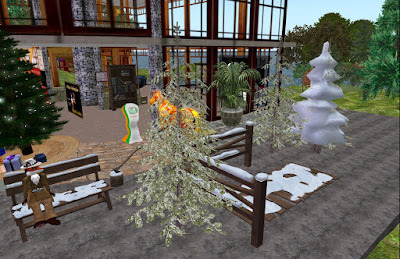 A couple days later was the "Caledon Oxbridge University Christmas Winter Fundraiser" at Caledon Oxbridge Village. Cynthia Farshore played the music at both events, and pictures were taken. There's been an ongoing series of fundraising events for refugee relief charities, the "Golden Nights for Peace." They have been taking place high above the Paradise Isle sim. My name is Shantal Gravois, the reigning Miss Virtual World 2018. It is my pleasure to invite you to participate and support a great cause that is close and dear and my heart. Years ago I personally had to flee from my native Nicaragua in the middle of a war, where my family and I had many difficult stories. I have known from the age of 6 what it means to have a gun pointed to your head. Such a traumatic event for such a small child; however with the efforts of my parents, we were able to travel to different countries until we were able to call one home. This event will combine fashion, competitions, shopping, and goodwill within during the Christmas Season, to raise funds for the immigrants of the genocidal dictatorships in Nicaragua and Venezuela. The main event was December 15, but there are two more events, Saturday December 22 at 10AM, and the closing concert and party on Sunday December 23. Golden Nights for Peace is sponsored in part by "Best of Second Life" magazine, which was founded by Frolic Mills, whom is Venezuelan in real life. There are many Christmas stories. But one of the most well-known is "A Christmas Carol" by Charles Dickens. Set in Victorian England, the tale of an elderly miser being taught a number of lessons about the meaning of Christmas has been told time and time again. In Second Life, The Seanchi Library's "Dickens Project" in LEA7 is once again depicting the story. One addition from last year is "The Urchin Experience," which helps show participants how challenging life could be for poor children in early 19th Century England. But the big attraction remains the iconic story by Dickens. Gemma Cleanslate was there, and wrote about what she saw. On Sunday December 16, Veterans Isle held the last of their monthly fundraisers for the Homes For Our Troops charity. The event was organized in part by Frets Nirvana, and had one DJ and several life musicians. The benefit is scheduled from 4 PM to 9 PM PST. Featured artists will be DJ Waya Snowpaw, Melenda Baptiste, Wayne Rhodell, Hogan Baily and Cryptic Harmony. So far we have sent $13000 in donations to HFOT for 2018. Let’s make this a big night! Can we go over the $15000 mark? Singer Hogan Baily offered to appear at the venue of choice to the highest donator. The event raised a total of 125,220 Linden dollars, or about $500 US dollars. The holidays are upon us, and for many that means baking, wrapping, peppermint lattes, and shopping! We've gathered 100 Merchants for a very exciting shopping event! 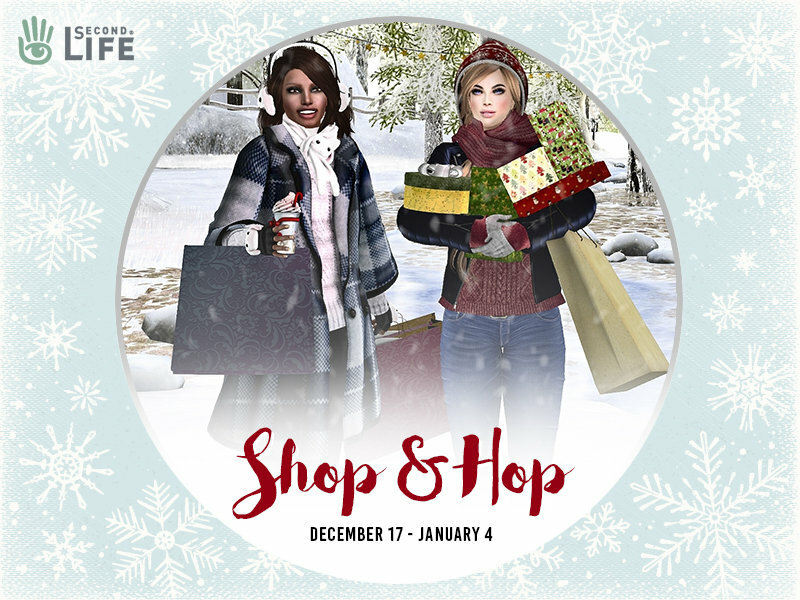 Bigger than our inworld shopping event from SL15B, this shop-stravaganza spans 5 full Regions, with some layover areas where you can cam shop! All 100 Merchants have provided a free gift (and in some cases more than one per stop) and some generous discounts on some of their most popular products. Stop by Aurelian, Gilded, Golden, Halycon, and Tinseled between now and January 4th to catch all the deals and grab all the gifts. Click here for a list of locations for the event in the Destination Guide. Taken at the Happy Vixen. Wild snow leopards don't usually bother people, but they usually would prefer to avoid them. But it looks like this one is an exception. A few days ago, Deaflegacy wrote about a trip to Calas Galadhon Park where she had a ride on it's balloon. Since there was more to the place, she went back to look at it's Christmas Pavilion. She found the place quite nice. But there was more to the area, such as the nearby skating pond and the winter scenery. 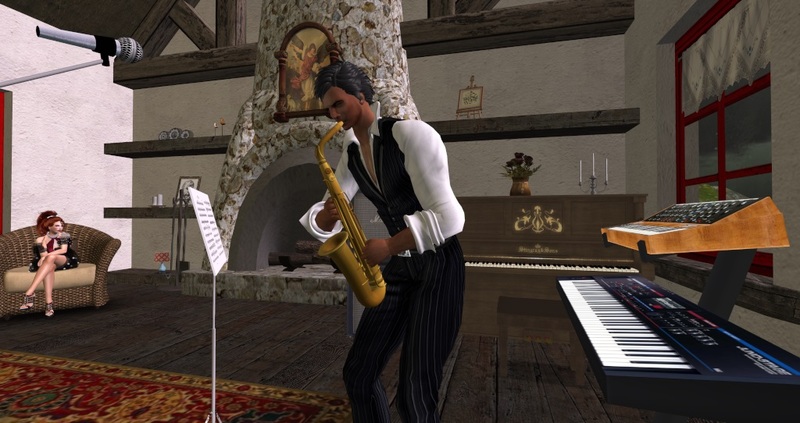 Dainial had been a live musician in Second Life up to about two years ago, then took a hiatus. Earlier this month, he ended his break with a performance at Music Island. Klaus Bereznyak was there, and had a seat among those in the audience as he played music inspired by traditional Irish folk songs. Read Klaus' article in People. After five weeks, the Winter Swaginator Hunt is coming to a close. This week, the clue leads you to the sim where the gift is. 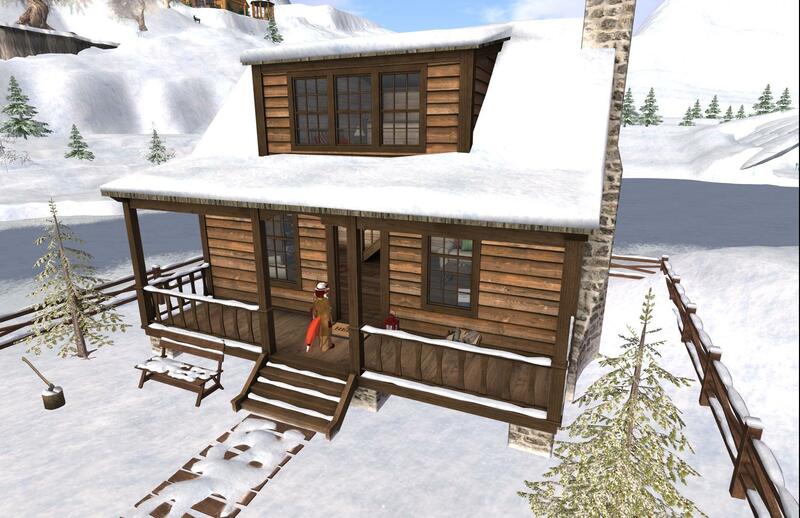 Clicking on the SURL takes you to the Zermatt sim. The first thing I saw was the scene above. So just where is the gift and what is it? Stay tuned for where and what it is. Posted by Richardus Rainmaker in October 2015. A cool video of Mont Saint Michel. But instead of shutting down "at the end of September," the build would remain up for another year before vanishing. 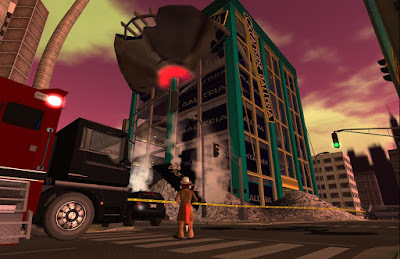 Shortly afterwards, it returned due to Linden Lab's intervention in November 2016, only the third time they'd intervened to keep a virtual build up. Rita Mariner, who sent us a series of articles on how to get through Subnautica, recently sent us a review of a noted game that's been out for a few years: World of Tanks. 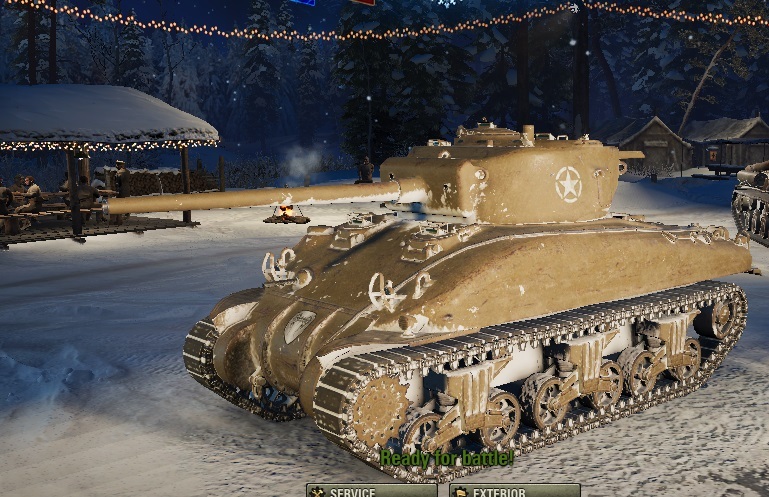 Developed by Wargaming in 2010, "WoT" as it's called for short was the company's first Massive Multiplayer Online game, and remains it's most popular one. Rita has been a longtime player of the game. But in her opinion, the game has not gotten better with age. Christmas is getting closer. 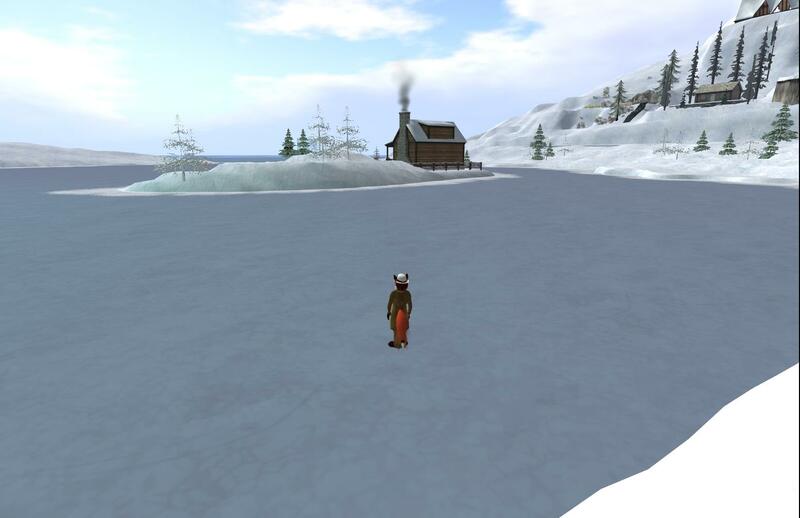 And the search for winter and holiday-themed places in Second Life continues. Gemma Cleanslate found two more, 3D Republic and Harambee. 3D Republic is a place where vendors "come together to bring you a variety of items to choose from to celebrate your holiday season." Harambee is a place that helps raise funds for schools in Kenya. So what did Gemma find in the two places? There were a number of events that took place this weekend. Saturday December 15 had the CDS Inaugural Ball (pictured above), and the Caledon Oxbridge University Christmas party. Sunday December 16 had this month's Homes For Our Troops' fundraising concert at Veterans Isle. More on these events later. When Linden Lab announced their Winter Swaginator Hunt, they also stated that "Premium members will see a very special new and exclusive gift"and it would "go with your Winter Swaginator gifts." A few days ago, they announced it was available for pickup, at least for those with Premium accounts. And what is the gift? A winter cabin. This charming home-away-from-home features a scripted door for added security, extra textures for the exterior, and other features. 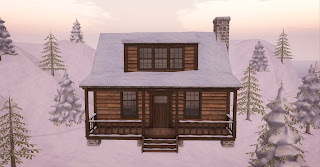 If you’ve been collecting the weekly Swaginator gifts, you’ll find this cabin in the perfect place to decorate with those gifts or give it your own personal flair with your unique decorative eye. So if you have a Premium account, head to a Premium Gift Collection Spot and get it. If you're not, trying gets you a message like that on the left. For everyone else, the clue for the final gift in the Winter Swaginator Hunt should appear on the official blog sometime today. Taken at the Christmas Expo. 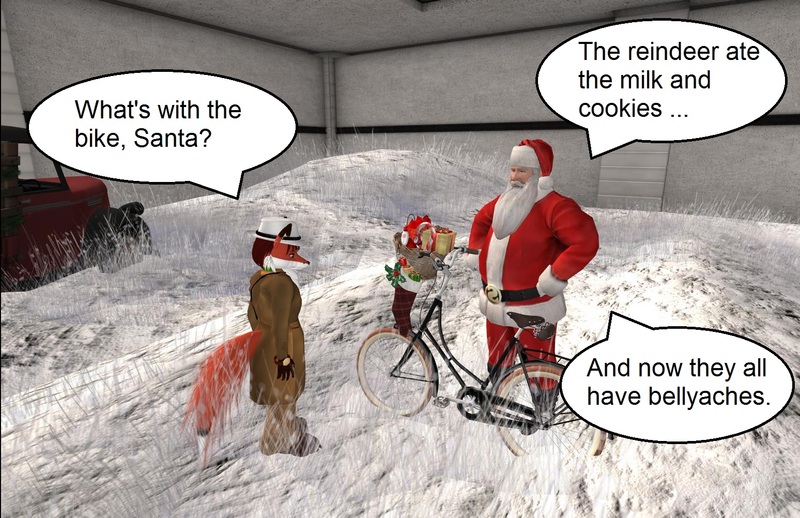 So what would Santa be doing with a bike instead of his sleigh and reindeer? A few possibilities come to mind. It's the final day to get gift four of the Winter Swaginator Hunt. The clue was a vague one, suggesting it was somewhere around the Winter Wonderland area accessible from Portal Park. 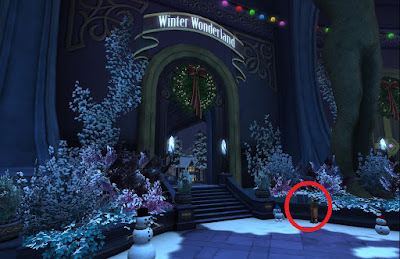 Turns out that the gift was placed just outside Winter Wonderland's entrance, at Portal Park 1 (180,112,52). Unpacking the gift, there are four items of furniture: a bed, a bedside table, a bedside table with books, and a table lamp. Check the Linden Blog tomorrow for the fifth gift in the Winter Swaginator Hunt, and the last one for free players. Premium accounts get one more gift. CAROL WEEK at The Dickens Project begins Monday, December 17th. We'll be presenting multiple opportunities to hear Charles Dickens' A CHRISTMAS CAROL (in parts and in entire) all week, PLUS additional special events. It's a little overwhelming actually, with multiple events happening every day. 1) Refer to the Dickens Project page on the Seanchai Library Website. There's a text listing of the week's events and if you scroll to the bottom of the page, you'll find the Project Google Calendar. 2) Check the landing point at LEA 7. 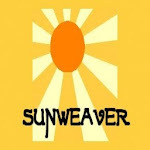 Events of the day will be posted there, and you can also connect directly with the Google Calendar. 3) Okay, if you MUST have a notecard, here it is! There will be postings of daily events in social media, in Stories Unlimited!, and in daily group notices. So stay tuned! From Die Villa in Nov 2016, "We wish you a wonderful Christmas time, health, happiness, and a happy new year. " Just a week after the Newser reported on mysterious circles appearing on the streets of Montecito Bay, more strangeness has happened. Their Oceanside Galleria building has what looks like a flying saucer of some kind having crashed into the side. If anyone needs to take Flamingo Ave. East, don't bother, traffic is officially halted from the start of Mission and ends at Venetia. We're not entirely sure, but... there's been a massive..... object that's crashed into the Galleria. We're doing our best to sort it, but please, to avoid delays, simply go all the way around to Bayside Drive or Palm Drive. Group chatter didn't reveal much. Two people stated besides the police, the FBI has gotten involved. But no one would would say a thing about what the craft was, except perhaps the person in charge of the community's Twitter page. So somebody called this craft a "UFO." 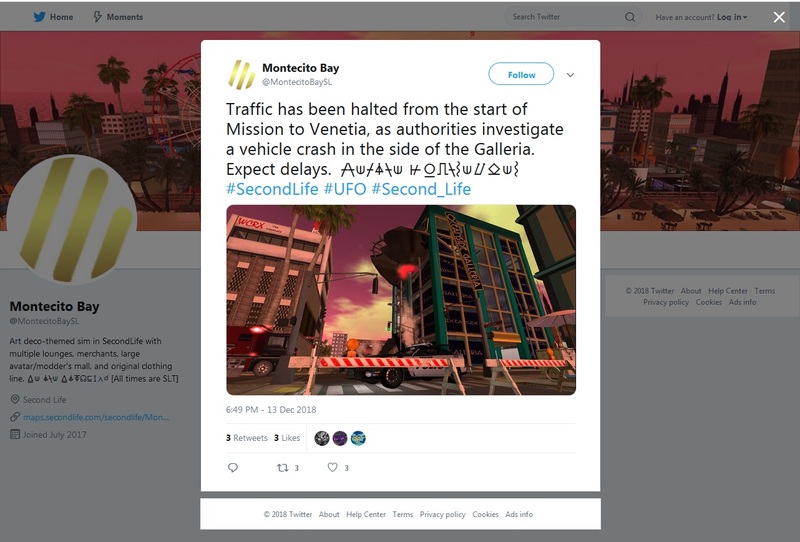 What the strange symbols in the tweet, or those in the tweet of this week's club events mean, or if they have anything to do with the UFO or the strange markings on the streets is unknown. Although the US Military has tried to develop aircraft that resemble flying saucers, so far the prototypes are highly unstable more than a few feet in the air ... so far.